How Does Vapor Polishing Work? 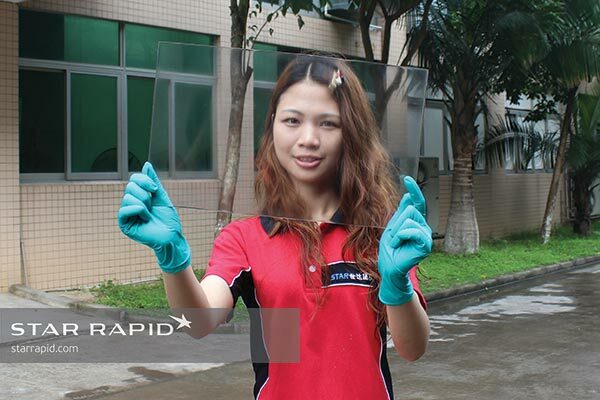 Vapor polishing is a finishing service commonly used to achieve high levels of transparency in plastic, like when plastic is used to make a lightweight optical quality lens. In situations like these, vapor polishing is one of the best and fastest ways to achieve optimal transparency. In cases where absolute transparency isn’t necessary, such as when making clear plastic cases or windows for indicator lights, standard plastic resins such as PMMA, PS, PC and PE are clear enough by themselves after molding. Let’s run through how vapor polishing works when making clear parts using injection molding or vacuum casting. Vapor polishing is a method for smoothing out certain kinds of plastic resin material at the microscopic level. It’s done by using the volatile gas of Weldon 4 solvent, which is highly reactive with the surface chemistry of clear plastics like acrylic and polycarbonate. Weldon-4 solvent gas is sprayed over the surface of the plastic to melt it. In a controlled environment, Weldon 4 solvent is heated to the boiling point, and the resulting vapors are sprayed across the surface of the workpiece. The plastic then melts at the surface, filling in minute scratches and voids where it quickly solidifies again once the gas is no longer present. 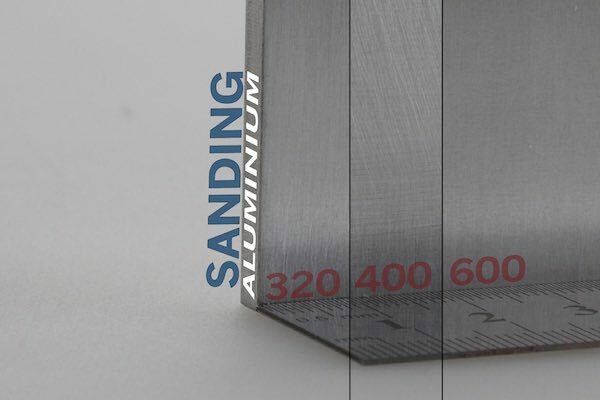 Does the Workpiece Need to be Sanded First? Yes, for the best results it’s important that we sand your parts before vapor polishing. 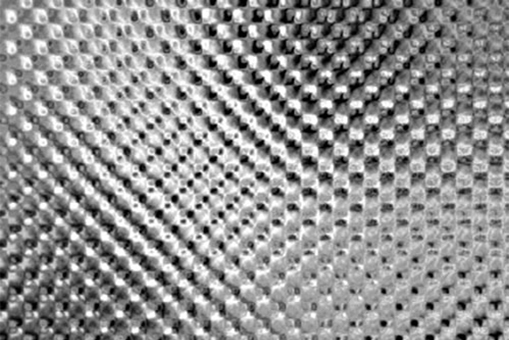 Vapor polishing only works at the molecular level. It will not erase large deviations in the surface roughness of a part, so deeper scratches, tool and machine marks will still be present. Usually we will sand the surface between 1000 and 1500 grit before vapor polishing. Vapor polishing can produce optically clear finishes. For untrained personnel, the process is potentially dangerous. That’s why it should only be done by trained professionals in a controlled chamber, wearing breathing respirators. We always employ additional personnel, outside of the spraying chamber, who are suited up and prepared to provide immediate assistance to anyone who may be affected by the fumes. Is Vapor Polishing Bad for the Environment? Vapor polishing, when done correctly, poses no harm to the atmosphere. In our facility all vapors are pulled through a three-stage carbon filter so no contamination or fumes are released to the environment. What is the Lead Time on Vapor Polishing Projects? Vapor polishing is a fast process with a very short lead time. Once the vapor is applied, the target piece is noticeably clearer within a few seconds. Longer exposure to a given area is not necessary, so even large pieces can be finished in minutes. 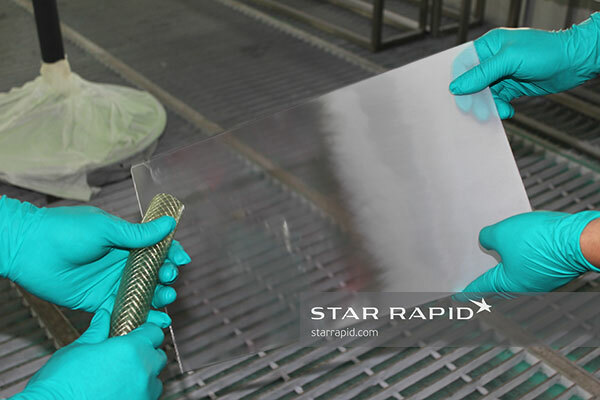 The surface film solidifies immediately and is ready for use. Is Vapor Polishing a Cost-effective Process? Compared to the cost of arduous hand or machine polishing and sanding, vapor polishing is very cost-effective. This is especially true of complex geometries that have pockets, recesses and other areas which would be hard or impossible to polish by hand. Weldon gas can penetrate these deeper recesses and immediately improve transparency. Is Vapor Polishing the Right Process for Your Next Project? Our team is available to support you in choosing the right process for your next project. Check out this video showing a part being vapor polished in our facility to learn more about how it works. The effect on the part is immediate. And because we take such careful precautions, we are one of very few facilities offering this level of service. Vapor polishing is only one of many specialized finishing services we offer. Contact us today to see if it’s right for your next plastic injection molding or vacuum casting project.